That is exactly what Dre Nathalie Bouchard is offering if you are missing some teeth, if you are wearing a fixed bridge or if you are wearing complete or partial prostheses. Prostheses are often unappealing, unstable and uncomfortable. They activate bone loss and become unstable. They often cause people to refrain when smiling and to avoid certain foods. Unfortunately, over time the problems just get worse, often to the point where quality of life is seriously impaired. Thanks to dental implants, you can finally find the comfort, the confidence, the aesthetics of natural teeth, as well as your true smile. Dre Bouchard has worked in the field of implantology for 17 years. She is able to offer you the appropriate treatment for your needs and desires. Dental implants insertion is a relatively simple and quick procedure for an experienced dentist such as Dre Nathalie Bouchard. Once they are installed, the implants weld to the bone to prevent deterioration. The implants fix the prosthesis to the jaw. Gradually, they allow the muscle strength needed to chew properly to be restored. Dre Nathalie Bouchard has been perfecting her skills in implantology since 1998 and she currently teaches at the Institut canadien d’implatologie. A Las Vegas Institute for Advanced Dental Studies graduate, she is also trained in neuromuscular jaw problems (temporomandibular articulations) that can be caused by teeth loss. She has sophisticated techniques in implantology and prosthetic restoration. Her great expertise in aesthetic and functional dentistry allow her to offer natural and comfortable prostheses. 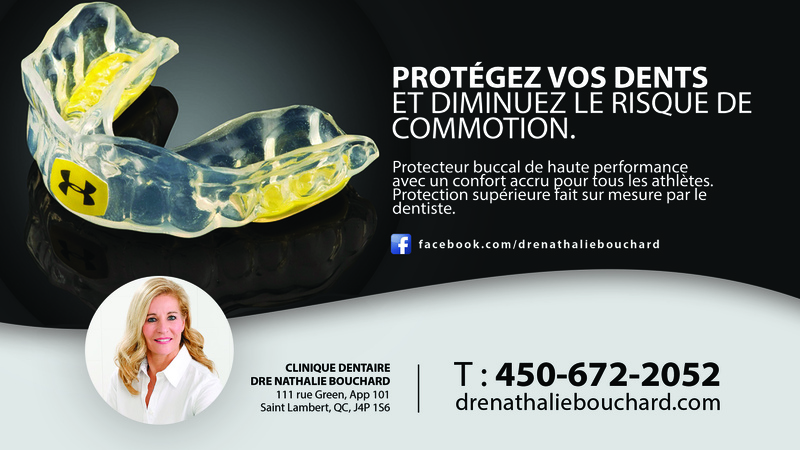 Dre Nathalie Bouchard can offer you palate-free prostheses that become an integral part of the mouth. These palate-free prostheses are cleaned easily, like natural teeth. The real palate is freed, allowing the pleasure of tasting and enjoying food fully. The implants might be the solution to your problems, and Dre Nathalie Bouchard will know precisely how to help you.